I struggle horribly with my addiction to sugary and fatty foods (especially cheese and chocolate and ohhh I love crisps). There is no balance in my life. I can only eat loads of it or none of it (I’ve spent 25 years testing this theory). Tonight I ate a healthy, light supper and STILL I am watching the clock and thinking to myself “If I leave now I can be at the supermarket in 5 mins” which would undoubtedly lead too a mini-binge (I don’t do huge binges anymore thank goodness) on crisps and chocolate. So instead, to stop me walking up the road and buying junk, I’m sat at my lap-top writing a blog post, talking about food, good wholesome organic food, vibrant and delicious veggies and fruits, that I love the taste of which will nourish my body…..yet I still crave crap. I am a HUGE believer in the commonly shared phrase on social media “Let food be thy medicine and medicine be thy food…” (Hippocrates circa 410 BC – although how accurate this is to the original phrase used by this great physician one can only guess) and I know that eating crap makes me fat and makes my body ill but I’ve yet to understand this strange mind of mine. BUT I also eat mounds of healthy, earth friendly produce and I really do believe that this will heal my body and eventually the cravings will become ancient history, much like Hippocrates…. so I persevere. Today my weekly medicine delivery arrived. 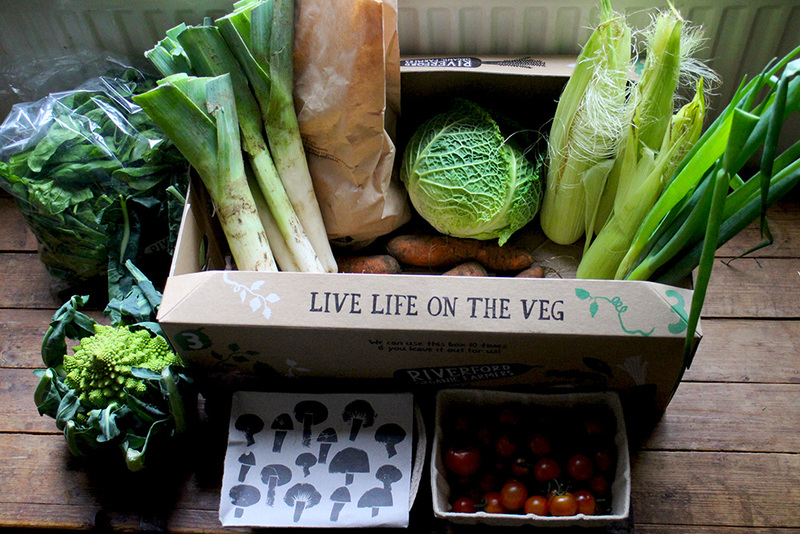 Another organic original veg box from my favourite producer “Riverford Organics”. 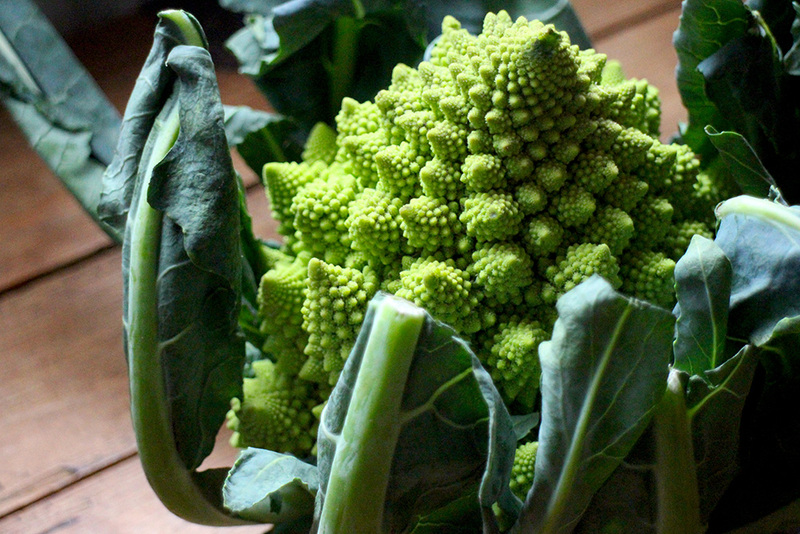 And it was the mesmerising Romanesco and it’s Mandelbrotesque florets that reminded me of nature’s perfect plan for everything if only we would let it do it’s own stuff and stop interfering. And that is why I’ve really strived to buy organic in recent months. £18 a week is an investment in my health and this beautiful planet we live on. This is all sounding rather “preachy” isn’t it…. anyone that knows me in real-life will know it’s not. As an imperfect, emotional, complex person I sometimes have to talk through my thoughts openly via my computer instead of subjecting my colleagues, friends and family to a barrage of intense discussions face to face. As I finish this post, the supermarket is now closed which thankfully means a chocolate and crisp binge has been diverted. There is a smell of an organic spelt loaf freshly baking in my bread machine, wafting up the stairs and I will enjoy a slice of that in bed with a cup of tea. PS: The AMAZING black figs in my Riverford box last week. It’s taken me 51 years to taste a fresh, soft, sweet black fig. You NEED to try these! 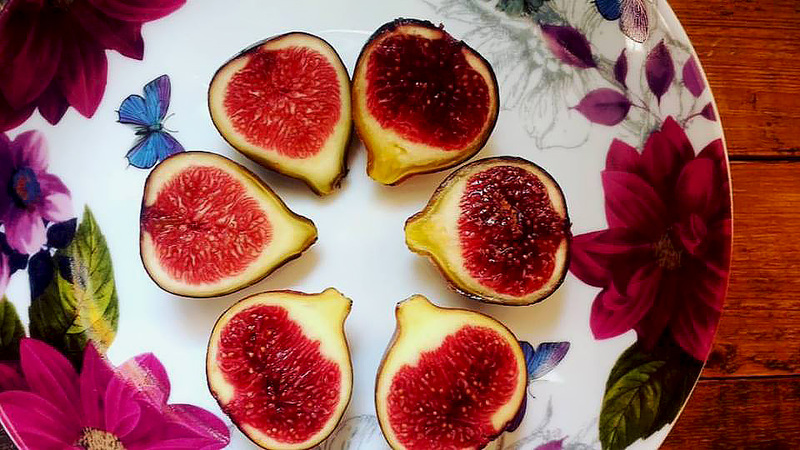 I read that figs were also grown and produced in the UK in the 1940s which quite frankly astounded me! Just when I was going great guns with the daily planking I got hit with a nasty cold which made me feel pretty awful and went onto my chest a bit so I’ve not planked since last Thursday when I did a 1 minute and 3 second plank! I’m still not recovered but hope to be back to daily planking by Saturday or Sunday so will resume then! We’ve had visitors so had a lovely day Sunday and ate mountains of off ration homemade cheesecake! I went to have a nurses check as a new patient at the surgery I have just joined and I was 282 lbs at weigh-in on the doctors scales but I’ve also shrunk 3/4 inch and am now 5ft 5 inches! My blood pressure and pulse were up so as soon as I have returned from dropping Em off at Uni I will be trying soooo hard to work hard on reducing my weight by eating very healthily and taking lots of brisk walks. A very quick update as it’s 6:50 am and I’ll be heading to work shortly. Although it was far from a perfect week I did persevere and probably only had two days in the week where I ate junk food which is quite an achievement for me right now. Apart from the junk food (bag of crisps and some biscuits at work) I was able to stick to my allowances within rationing and have eaten plenty of vegetables. After feeling really low on Saturday I was able to turn things around on Saturday evening and tackle chores which I had procrastinated about which actually lifted my mood and got a great nights sleep with some beautiful mood lighting in my bedroom and some relaxing meditation music. Sunday I completed the jobs I needed to get done, ate lots of nice food and after some weights exercise in the garden and skipping and my first attempt at planking in months, I finished the day on homemade pancakes (quite a few!). My weigh-in this morning was a success having lost 5.4 lbs.